The issue of `thisObject=null` and `thisObject=undefined` in Gnash's `Function.call()` is now reported separately as bug #47354. Patch included for fixing `instance=null` and `instance=undefined` case. You'd see that all tests are now showing PASSED result. reported separately after additional testing are done. The test is attached as `js2flash-nothis-v2.zip`. You'd see that all checks were passed. extcomm test of Gnash testsuite. Ideally there would be a single test composed by one (or more) SWF files and one (or more) HTML files so that anyone could point a web browser to the test entry point and intuitively see what's failing what's succeeding and what's running (test summary); then a test runner would somehow simulate the html interaction in an automated way (webkit-based, for example). Failing to do that, an easier solution could be for the test runner to generate an HTML file that would replicate what the test runner does and contain instructions for the tester as for what's expected and what's obtained. Note that all the tests under testsuite/actionscript.all are similar in this regard (self-contained tests) but were simpler to implement because do not require bidirectional host communication. The rest of automated tests mentioned in comment comment 7 are now included. so it would give a correct output. `js2flash-testrunner.html` in file #35071) be included too? 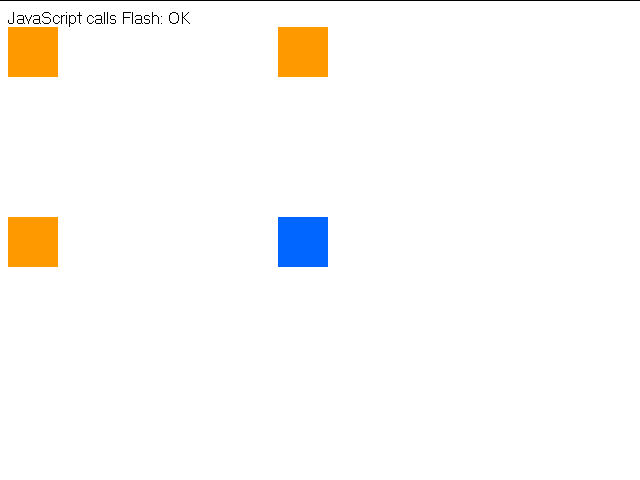 HTML container/manual test runner, see the attached `js2flash-auto-v2.tar.gz`. bourne shell script and named pipes. 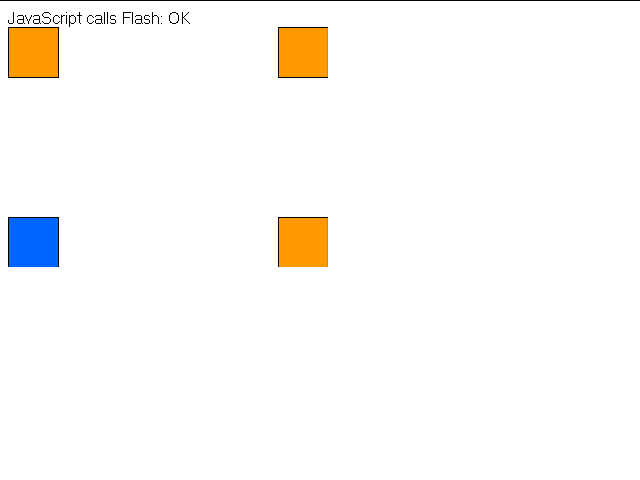 See the attached `js2flash-auto.tar.gz`. on comment 4, I suspect that it was caused by bug #32411 (plugin's nested XML parsing issue). if js2flash.swf is enough for testing all it takes, it may be a good idea to implement the test runner using MovieTester, see how it is done with testsuite/movies.all/tic_tac2-TestRunner.cpp as an example, or any of the testsuite/misc-ming.all/*Runner.cpp files. It might take some enhancement to make working with filedescriptors easier. I didn't see your previous post, sorry. I'll try to work on automated test case from now on. `ExternalInterface.addCallback()` from being garbage-collected in a long run. See patch #8720 for possible fix. I suspect that GC-related part of previous patches is the culprit. Keeping this open in "Ready for test" mode for adding tests and running some manual tests too..
shell or perl script seems to be the way to go. We already have a perl script for testing XMLSocket. The list of tests seems good to me! As for testing, the thing is, what is a proper way to test ExternalInterface? won't cut it, since this involves browser-Gnash interaction. from both side. I haven't looked closely on this method yet. Registered callback invocation test: ExternalInterface callback (pass) V.S. _root callback (fail), aka. an automated version of js2flash-rootcb test. Registration test with `method=null` and `method=undefined`: callback registration must fail to pass. Registration test with `instance=null`: callback registration should succeed to pass. Test on `this` inside callback when `instance!=null`: user-specified Object (pass) V.S. registering code's `this` (fail) V.S. Function's class (fail) V.S. _root (fail). Test on `this` inside callback when `instance=null`: must be an empty value (`null` or `undefined`) and instance variable reference must give `undefined` to pass. Long callback arguments test ("The","quick","brown","fox","jumps","over","the","lazy","dog"): must be passed correctly to pass. Patch included (2 of 2), see patch #8715 comment 5. Actual value of `instance` argument was ignored; Gnash used `_root` instead. reference to return `null` inside the callback in these cases instead. Patch included (1 of 2), see patch #8715. `method` argument was ignored; Gnash called `_root.methodName` instead. Registration failed silently if `instance` argument is `null` or `undefined`. Gnash only passed maximum 3 arguments to the callback; specifiying more than 3 would have same result as passing 0 argument. Note: js2flash-rootcb.html should give a correct result after applying this patch. Actual value of `instance` argument is ignored; Gnash uses `_root` instead. Gnash only pass maximum 3 arguments to the callback; specifiying more than 3 will have same result as passing 0 argument. Gnash passes Array and Object argument (including associative array) to the callback as `undefined`. This issue is still reproducible under current git version of Gnash. Instead, Gnash tries to call `_root.methodName`, which is incorrect. After 3 sec, you'd see that ExternalInterface-registered callback is called correctly. After 3 sec, you'd see that callback in _root is called instead of ExternalInterface-registered one. screenshots of both cases are attached (js2flash-rootcb.zip). with exactly same trace message. Gnash: Gnash 0.8.11dev master-21707-b482bd6 with 80989fcd, dfba5258 and 4b3dae97 reverted. This is a spin-off from bug #37008 (SoundCloud issue). You may see that the ActionScript callback function was invoked. You may see that the ActionScript callback was not invoked. 2929:1] 2796 DEBUG: Processing script_call call from the Browser. Full Gnash debug log (verbosity = 2), also attached here. created from Adobe Flash CS3 with Flash 8 target, also attached here. This task has 25 encouragements so far.